An I-9 audit will turn a company’s human resources department and legal counsel upside down for as long as it takes the government auditor to measure compliance. With immigration issues at the forefront of federal, state and local government agendas, audits are becoming more and more common. Audits are especially painful because the federal government is only required to give companies three business days notice before coming onsite. Moreover, the government can audit a company in any format they choose, sometimes asking to check I-9 forms company wide, by location or through random samples. Get your human resources department and legal counsel together twice a year to conduct internal audits. Check over I-9 forms company wide for visual errors and be sure there is a completed form for every single employee. If the internal audit uncovers any errors, correct the errors and note the changes made. In the case of an actual government audit, you can bring the errors and the changes made, to the auditor’s attention. This step may not alleviate fines, but will let the government agent know your company is proactive and may help decrease the chance of future audits. Often the task of filling out an I-9 form falls to personnel outside the scope of the human resources department. Sometimes these individuals are not as familiar with correct documentation procedures. Outside of human resources staff reviewing every I-9 form that comes in, it is important that anyone filling out an I-9 form receive training in the documentation process and learn about common compliance violations. Proper I-9 training can help companies to avoid major financial penalties should an audit occur. Leading electronic I-9 solution providers will offer employee training to address this important issue. It is common for companies to have remote employees, or individuals telecommuting from a location outside of the office. In most remote employee hiring situations, section two of the I-9 form may be signed by a notary in lieu of a company employee. Because notaries are not always familiar with I-9 documentation and compliance issues, it’s best to have any remote employee paperwork reviewed by human resources within three days of when the form is due. U. S. law requires companies to only employ people who are legally authorized to work. It established an internet-based system called E-Verify to simplify the process to determine an employee’s employment eligibility. While use of E-Verify is voluntary for most businesses, states such as Arizona have mandated its use for all employers for every new hire or businesses risk the loss of their business license. Even localities such as Denver, CO and the cities of Mission Viejo and Lancaster in California have passed laws that require their contractors to use E-Verify. To avoid serious penalties and fines, it’s imperative that companies understand the legal landscape surrounding E-Verify compliance in every location they do business or have employees. When an auditor arrives onsite, do everything in your power to make the experience easier for them. Prepare relevant data ahead of time and have any prior mistakes, corrections, and preventative policies highlighted and accessible. Be sure you have the best representative from your company available, who can communicate intelligently with the auditor about your I-9 system’s compliance features. Taking these extra steps will make the process smoother and hopefully quicker. Using a proven electronic I-9 system gives an employer beneficial tools to use during a federal audit. It creates an audit trail, listing every date and user who modifies an I-9 form. Verifying that the electronic signature was made by the employee and not any other party is a big issue in federal audits. An electronic system often has a secure process for electronic signature verification to present during an audit. Finally, look for a system that provides on-demand reporting that can pull specific sets of data upon an auditor’s request. Proactive employers, who leverage electronic I-9 solutions to streamline their hiring process, will be most prepared in the event of a federal audit. 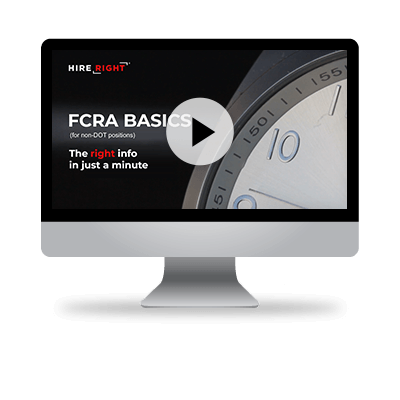 How would you prepare for a federal audit? Would three business days be enough time for your company to prepare?